As filings for Bankruptcy increase in these trying times, more and more debtors are inquiring about their single biggest debt in their credit profile, Student Loans. In general bankruptcy attorneys will generally try to stay away from these and tell you that these types of debts are generally non dischargeable thru bankruptcy, and generally they are right. I would like to make a distinction between Government based student loans, and Private based student loans. Government based student loans are loans which all the terms such as interest rate, lending criteria, repayment terms, and all others are dictated by the Government. Usually their lending limits are capped, but on the other hand the lending criteria are very flexible and permits lending to many that would not otherwise qualify. On the other hand, Private sector loans have much tighter lending criteria in order to qualify, but the terms are set by each lender, and therefore one could actually borrow much more. So the question is whether the fact that the student loan was obtained thru the private sector changes the equation and allows it to be qualified for discharge thru bankruptcy. The answer is not a simple one, and I will try to respond to this in general and layman terms. Everyone should speak to their own Bankruptcy Attorney about their specific case, to evaluate their specific circumstances. There are two main issues in responding to the question. But not so fast honcho….. Actually being able to prove undue hardship is not that simple, and actually very difficult. 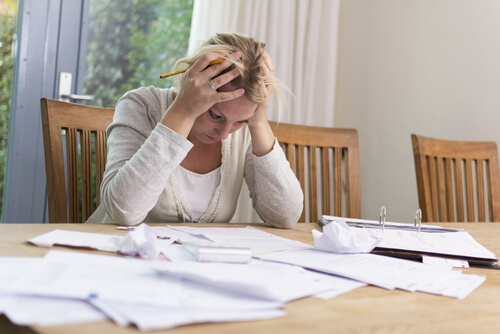 Obviously one would think that if one is filing for Bankruptcy it is because of a current hardship, but courts are very cautious on accepting the undue hardship claim. The undue hardship in itself is a topic for another blog, and I will leave it at that, just remember that it is very unlikely that you will qualify for the undue hardship exclusion. With that said, it leaves us with the second main issue, and it has to do on whether the loan was school certified or not. Loans that were school certified generally will not be permitted to be discharged from bankruptcy. If you are in doubt, I would ask you to call the lending institution and ask them to send you a copy of the certification provided by the school to them prior to the disbursement of the loan. Does this mean that if the loan was not certified, then it can be discharged? Maybe, but one would have to look at whether the amount of the loan was within the definition of cost of attendance or whether it exceeded the expected family contribution. This means that a Private sector loan that was not certified but was within the definition of cost of attendance and did not exceed the expected family contribution generally may not be discharged thru bankruptcy.